You may remember me mentioning the cute Pygmy hedgehogs in a previous post and the fact that Mark and I are getting one. Well I have news. I have been given an update from the breeder who has just had a litter of the little cuties. They are over 2 weeks old and about the size of an AA battery. Here are some cute pics to coo over in the mean time. 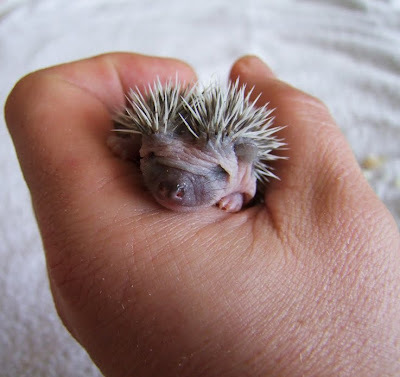 Andy who has been breeding Pygmy Hedgehogs for four years says my little boy should be ready around Christmas time. 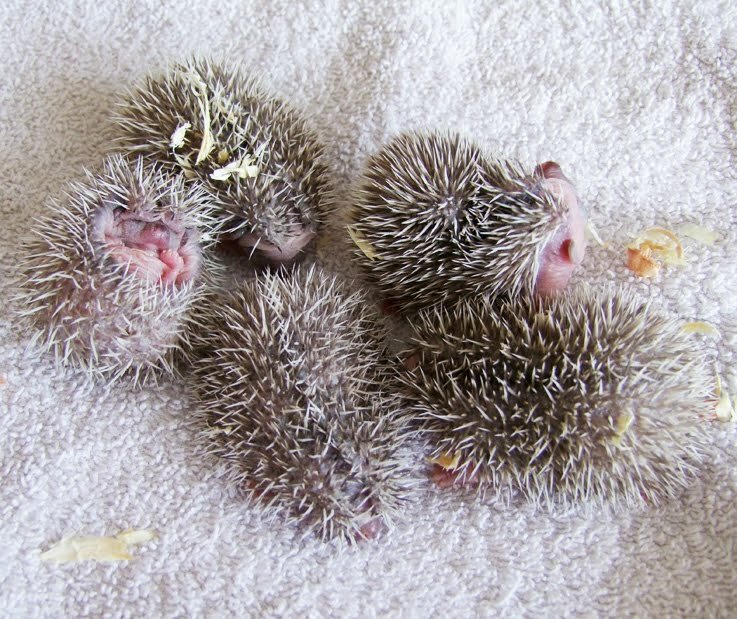 If you are interested in owning a little hedgehog Andy has three left looking for a new home from this litter. Email him at andy.breed69@googlemail.com or call 07599454844. These are really cute. I didnt even now that you could keep hedgehogs(pygmy). Don't tempt me! I have fallen in love with these little cuties ever since a pal got one and started sending me pictures! Would send me squealing with delight. Congrats to you and can't wait to see pics of the new arrival.